If there’s one thing I believe, it’s that jewelry should always be an integral part of your outfit. Jewelry helps tie pieces together, reflects a mood and aesthetic, and can balance out an outfit more than any other accessory. If there’s one designer whose jewelry I covet more than any other, it is that of Chanel (you can wear a Chanel belt as a necklace and it’s amazing. How could you not love that?). Coco Chanel’s designs for jewelry came at a time when jewelry was categorized as costume or fine—not one to adapt to the established molds ( little black dress, pants, skirts-above-the-ankle), Chanel’s designs incorporated real and simulated gem stones and completely broke tradition. 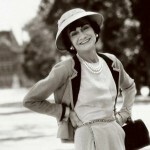 Through the early years of Coco Chanel’s brand, markings were rarely put on pieces. 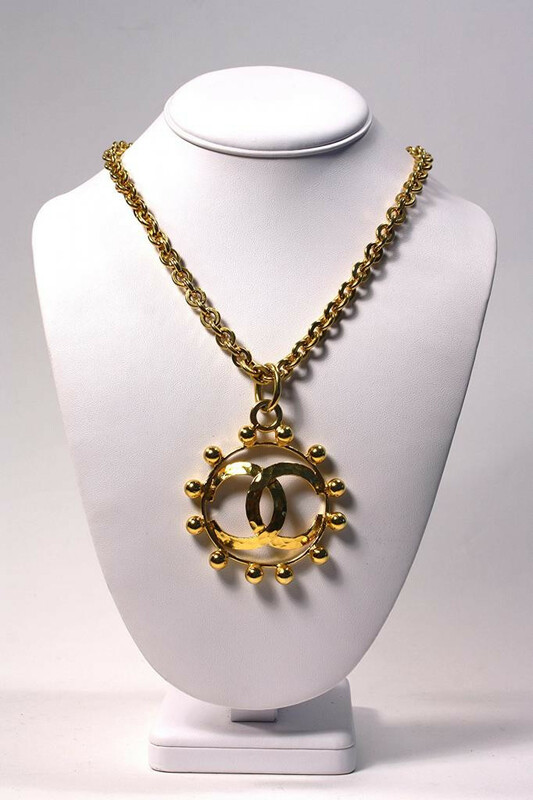 Ironically, during the company’s closing during WWII, an American costume jewelry company called the Chanel Novelty Company manufactured costume pieces with ‘Chanel’ stamped on each one—even though the actual Chanel brand was out of business during that time, they sued the costume jewelry company for the use of its name. The name was quickly changed to the Reinad Novelty Company and they stopped using the Chanel stamp on their pieces. 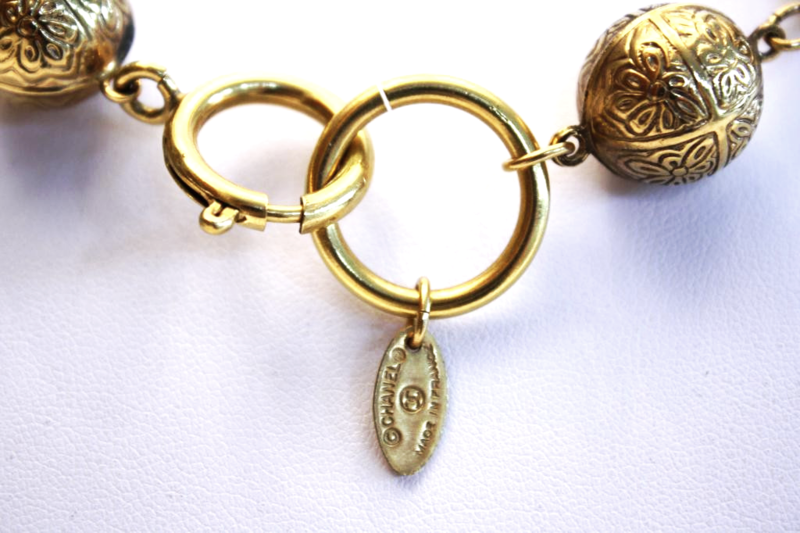 So you have a great Vintage Chanel Jewelry piece, but you’re not sure just how vintage it is? Read on for some helpful tips to help date Vintage Chanel jewelry by paying special attention to markings. Click on the photos below if you need to enlarge the image. 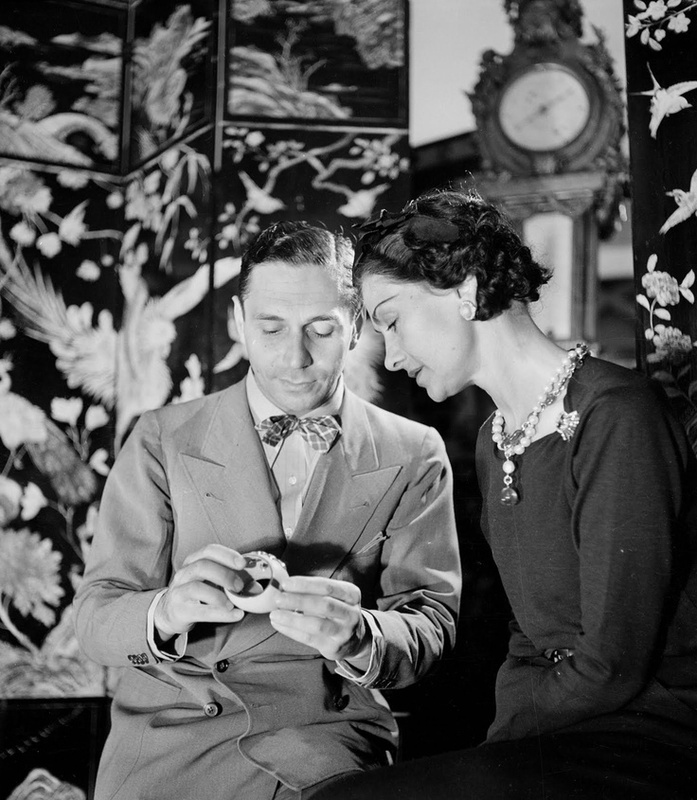 *After re-opening her doors in 1954, Chanel continued to produce jewelry specifically designed to accompany her clothing designs. 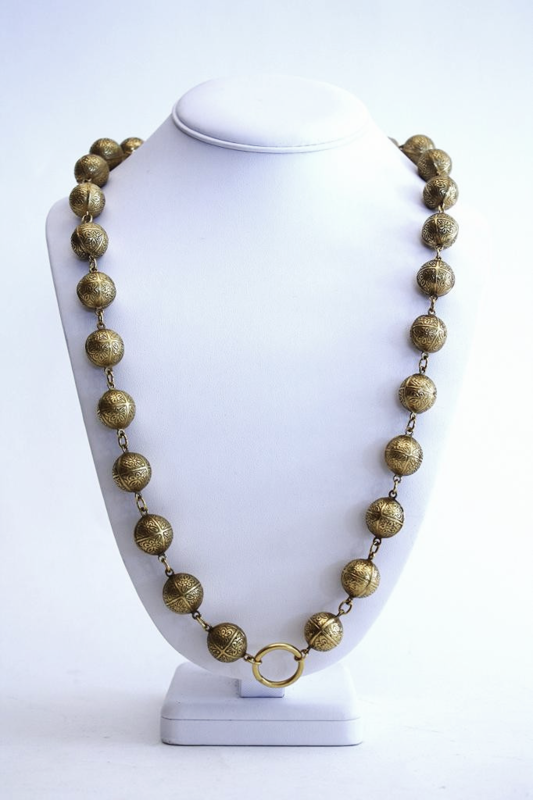 Oftentimes jewelry was sold as part of an entire ensemble, and remained unmarked. 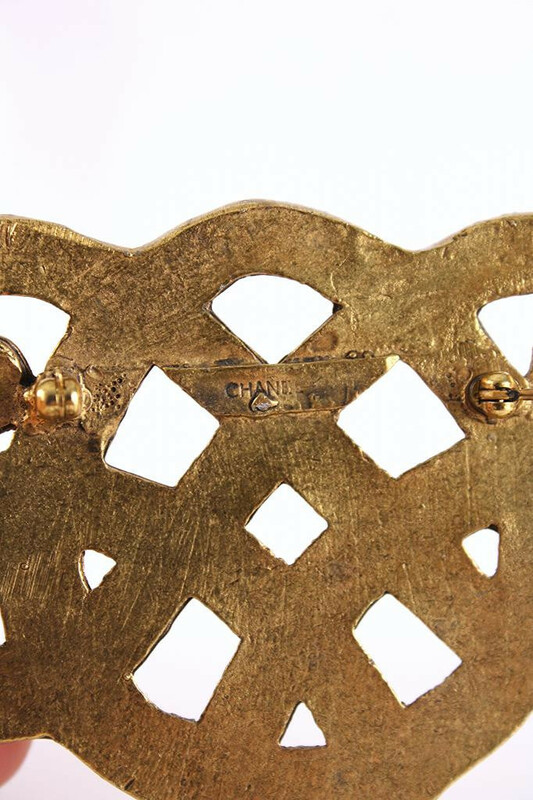 Pieces that were marked were stamped simply with the name CHANEL, and others had three stars underneath. Variations on these stamps were used on most pieces until Coco Chanel died in the early 1970s. 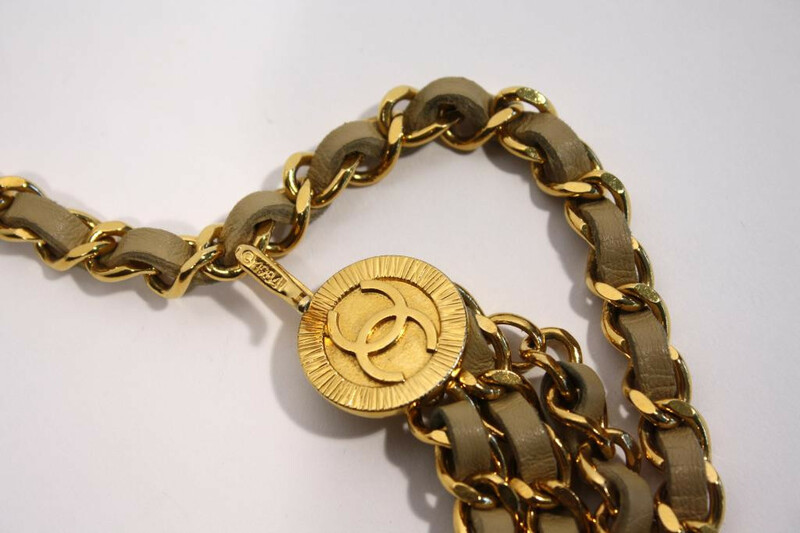 *Following Coco’s death in 1971, Alain Wertheimer took over the company and added to the jewelry markings—now the CHANEL stamp was surrounded by a copyright, registered trademark, and a “Made in France” stamp. It was around this time that pieces began to be marked with the interlocking C logo that is so universally recognized. 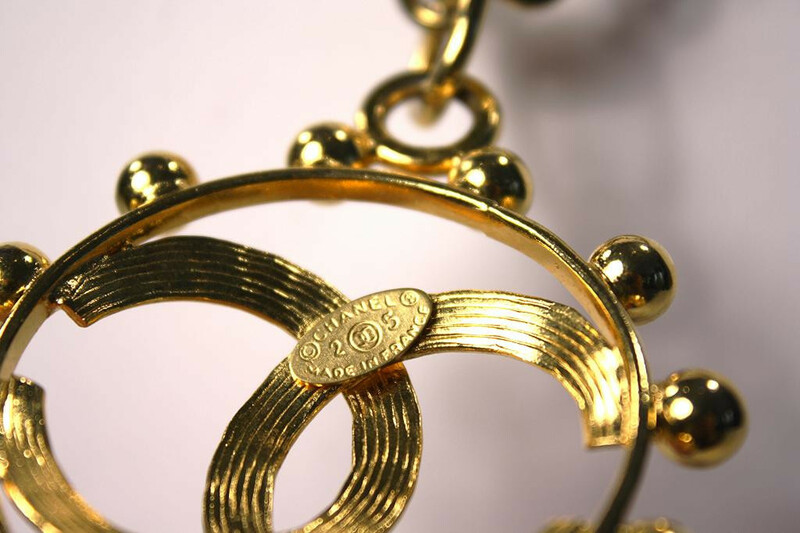 Necklaces were marked in a further unique way—a small circular plate with the relevant markings was folded in half over a single link in the chain. *From 1980 until Karl Lagerfeld’s appointment to creative director in 1983, the “Made in France” stamp was removed and replaced with a copyright symbol next to the year the piece was manufactured. This way of dating carried over into 1984 and ’85. *Lagerfeld brought Victoire de Castellane to Chanel as the head designer of costume jewelry around 1984 (until 1992) , and in 1986 de Castellane began marking pieces with small oval plates bearing the CHANEL stamp above and a “Made in France” stamp below. In the center of those stamps was a copyright symbol flanked by numbers associated with the specific season the piece was designed for. For example, a copyright sign flanked by the number “2” and “4” meant that that piece was designed for the brand’s 24th season. *In 1993 the markings affixed on Chanel jewelry was once again altered—this time the season it was designed in was specified more. Much of the oval plate introduced by de Castellane remained, but the numbers indicating the season was replaced with the last two digits of the year the piece was released (on the left of the CC logo) and either the letter “A” (for ‘Automne,’ or autumn) or “P” (for ‘Printemps,’ or spring) to indicate which season that year. That design has largely remained the standard since then, although sometimes pieces are marked “Made in Italy,” to reflect their production origin. 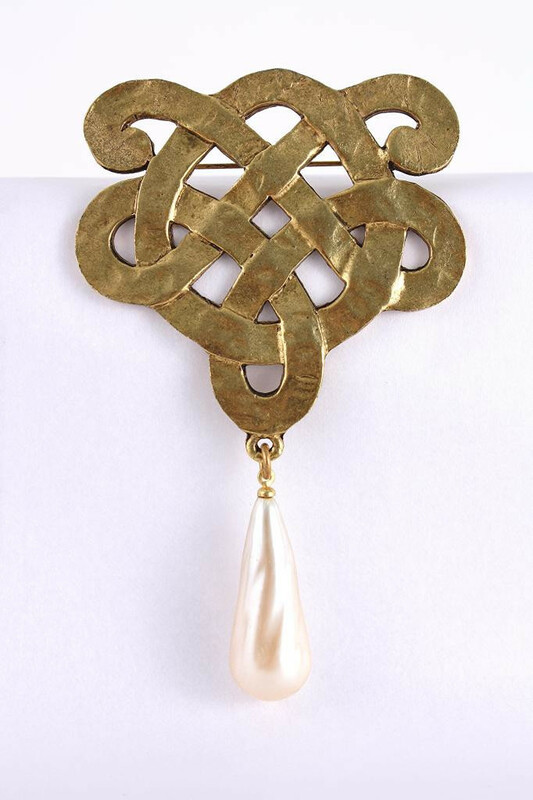 One of the great things about a vintage piece of Chanel jewelry is that it’s versatile and always relevant. Necklaces could be worn as tiaras, belts as necklaces, brooches as hair jewelry. Strands of pearls always come in multiples, and pieces were designed for theatrics, not to be missed among the folds of your clothing or hidden below a neckline. Chanel is really the person responsible for turning not-so-impressive costume jewelry into coveted accessories—and I love that. 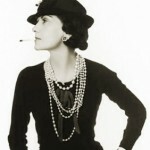 What do you love most about Vintage Chanel jewelry? 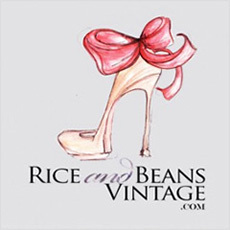 Browse our Selection of Vintage Chanel Fashion & Jewelry at Rice and Beans Vintage.